This has been a spring to try a golfer’s patience. By this time last year, the golf course had been open for one week. Fortunately spending six years at Northland Country Club in Duluth, has prepared me well for a spring such as this. Frustrating as it might be, the weather is one thing I’ve not yet found a way to control. At this point in time, I do not foresee the golf course opening until the week of May 1st. A good deal of snow remains on the course, with the potential for more coming this weekend. Once the snow is melted, the sun’s rays will finally be able to work toward warming the soil and melting the frost. Estimates around the area have anywhere from two to three feet of frost in the ground. The good news is, we are almost half way through April and a significant warm up will melt snow and frost quite quickly. The bad news; no significant warm up appears to be on the way. It is worth noting that once the golf course opens, the usual buffer provided by April weather is likely to be gone. In a typical spring, the turf staff might have two to three weeks of tidying up the course prior to opening day. We won’t have this luxury this season and it will still take the turfgrass staff a bit of time to ramp the course up to its usual level of conditioning. Please be advised your expectations regarding the golf course will need to be relative to the amount of time we’ve been open, rather than the date on the calendar. One final note. The aerification scheduled for May 16th-18th will take place regardless of when we open the course. The process in May will include the small, solid deep-tine, which has become a standard for us. We will also perform a DryJect. We were not able to complete the DryJect process we wished in October, due to the early cold snap; skipping it and waiting until October is not advisable. The DryJect process last year generated a great deal of negativity. Still, this is a process which brings great benefit to our putting surfaces. Adjustments will be made this year to provide a better surface in the weeks following the process. 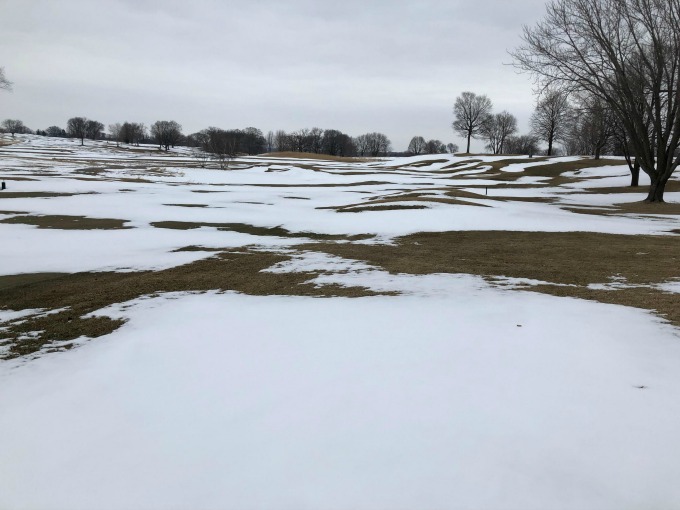 Moving the dates was brought up, but with a golf calendar essentially built around aerification, the downstream disruption would create too much negative impact. Rest assured our aerification process will, as usual, be maximum impact from minimum disruption. As always, should you have any questions or comments, please feel free to reach out.